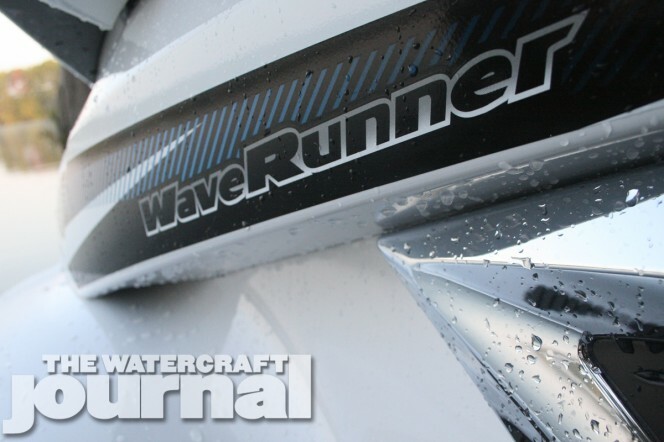 Fearsome Flagship: 2015 Yamaha FX SVHO Cruiser WaveRunner | The Watercraft Journal | the best resource for JetSki, WaveRunner, and SeaDoo enthusiasts and most popular Personal WaterCraft site in the world! 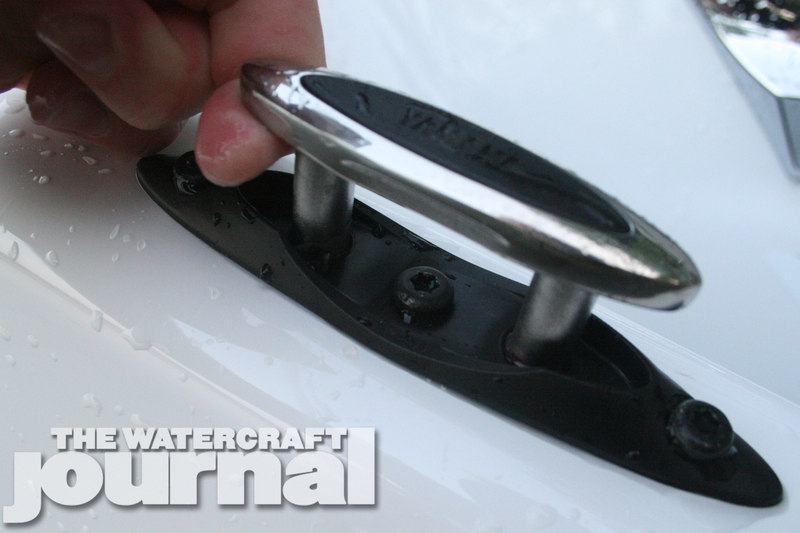 It’s often a very gray line that separates a full-blown performance watercraft from a top-of-the-line luxury watercraft. 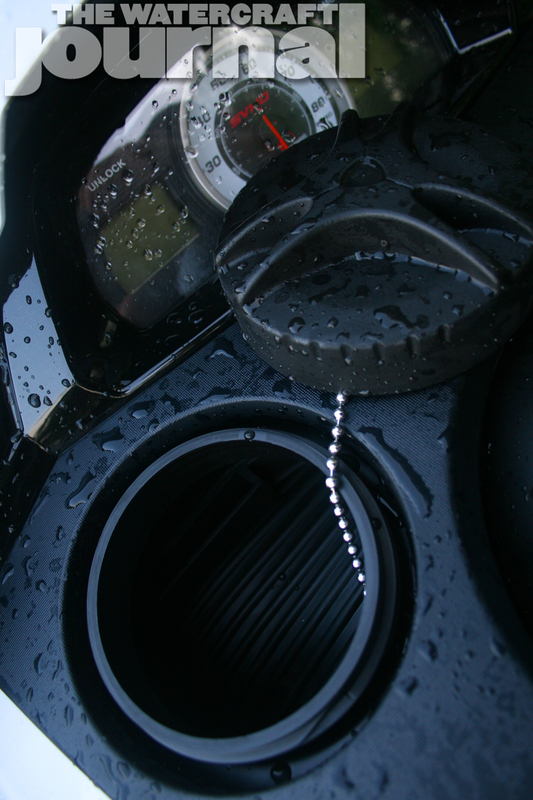 While some lean to hard to the prior (Kawasaki 310LX) others list too far in the other direction (Sea-Doo GTX Limited 155). Striking the right balance is not only imperative to establishing the appropriate tone with the vehicle itself, but also communicating to the desired audience. 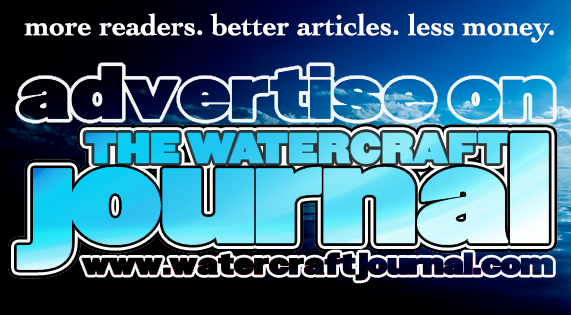 According to a recent study by Info-Link, the average age of the new PWC buyer has increased nearly 10 years since 1997 (49 years of age); throw in that statistically, those drawn to full-tilt luxury craft rank considerably older, we’re looking at a mature audience. This is why most manufacturers maintain more reserved, adult coloring options for their luxury lineup. 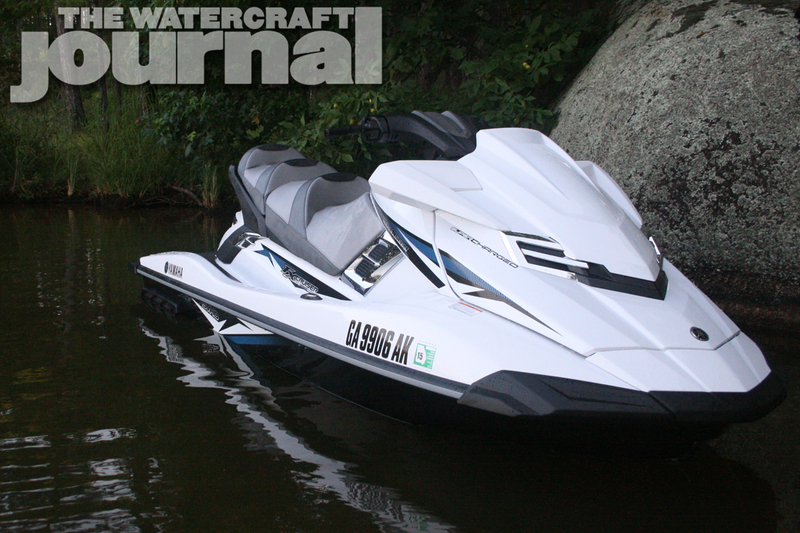 Even Sea-Doo’s controversial 2015 color palette retains some very conservative hues for its GTX line. If a Yamaha WaveRunner could ever be called a “sleeper,” this would be it. With the all-new NanoXcel 2 hull and deck and SVHO powertrain package, this machine looks like a luxury cruiser but packs all the punch of a closed course competitor. Yamaha Motor Corp‘s fresh batch of luxury watercraft are equally classic in their appearance. For 2015, the surprisingly popular Pure White jumps from the naturally-aspirated FX High Output Cruiser to the top-of-the-food chain SVHO. 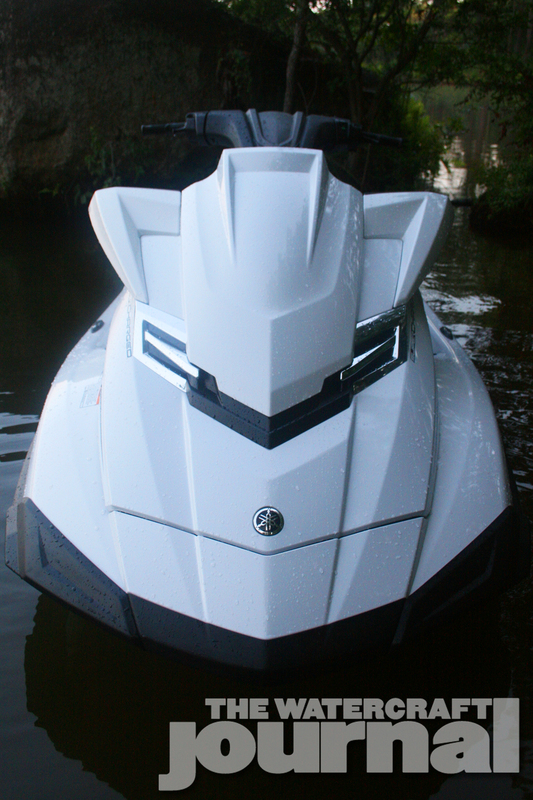 Equipped with a corpulent amount of bells and whistles, including Pull-Up Cleats, Cruise Assist/No Wake Mode, Command Link instrumentation controls and tiered stadium-style Cruiser seat, we immediately pegged the the the Super Vortex High Output-powered Cruiser was part of the brand’s luxury lineup. 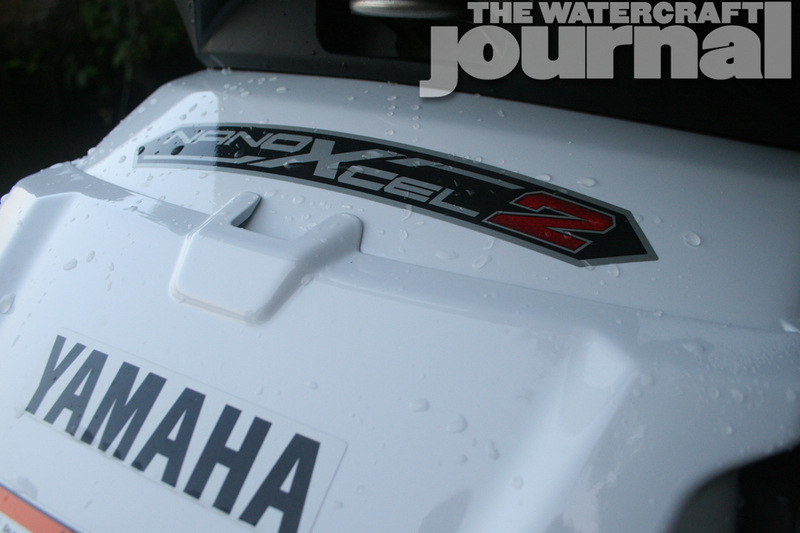 Unfortunately, we erred in thinking so and were quickly corrected by Yamaha Product Manager Scott Watkins, “The Luxury units max out with the SHO (Super High Output) engine. 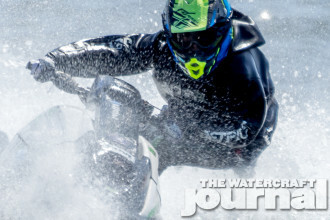 Anything equipped with the SVHO is definitely part of our Performance line.” And right he was. 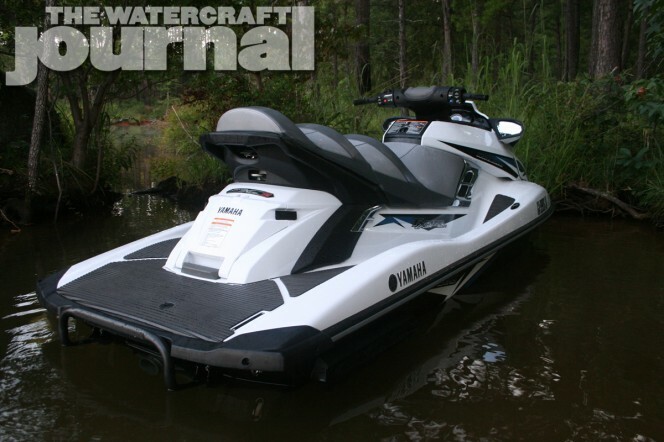 Yamaha’s Performance lineup outweighs its Luxury and Versatility models by no less than two units, and the FX SVHO Cruiser isn’t all that removed from it’s sportier FX SVHO doppelganger. 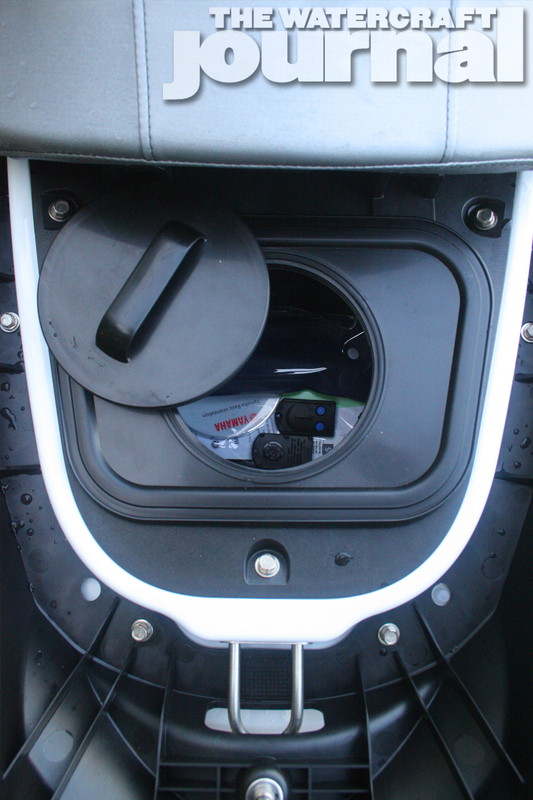 The FX SVHO Cruiser offers dual screw-top watertight storage bins, the rearward being a removable unit and a carrying handle. Nevertheless, by wielding the company’s most powerful powertrain as well as nearly every accessory package available, the 2015 FX SVHO Cruiser hardly suffers from a lack of luxury. 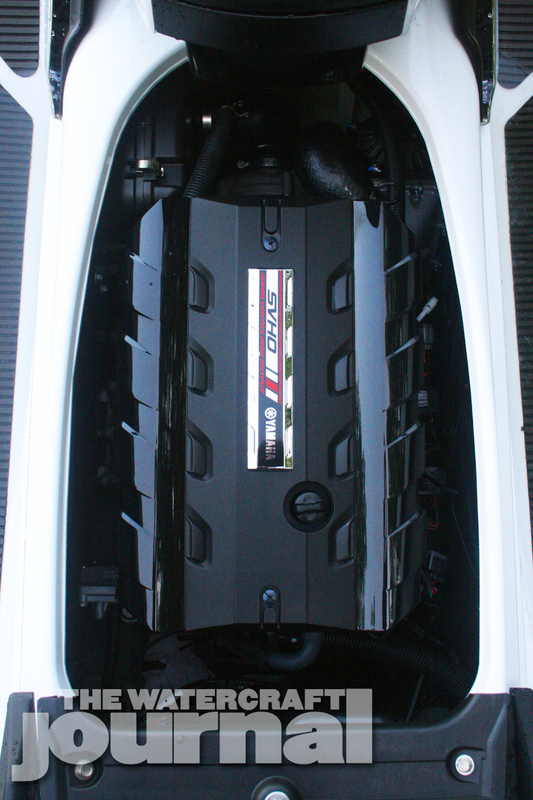 Of which, the SVHO powertrain remains unvaried from last year’s model, improving the Super High Output (SHO) engine by increasing overall efficiency by 110-percent. The SVHO engine impressed many with its new 8.5:1 compression forged pistons, larger 60-pound fuel injectors, and a larger intercooler (providing an impressive 22-percent increase in efficiency), and a large 86mm HKS supercharger with a 6-vein impeller presses out 60-percent more boost. A racy 8-vein pump housing hosts a 160mm impeller, churning gobs of thrust. Thick charcoal gray Hydro-Turf mats cover the wide swim platform and footwells. 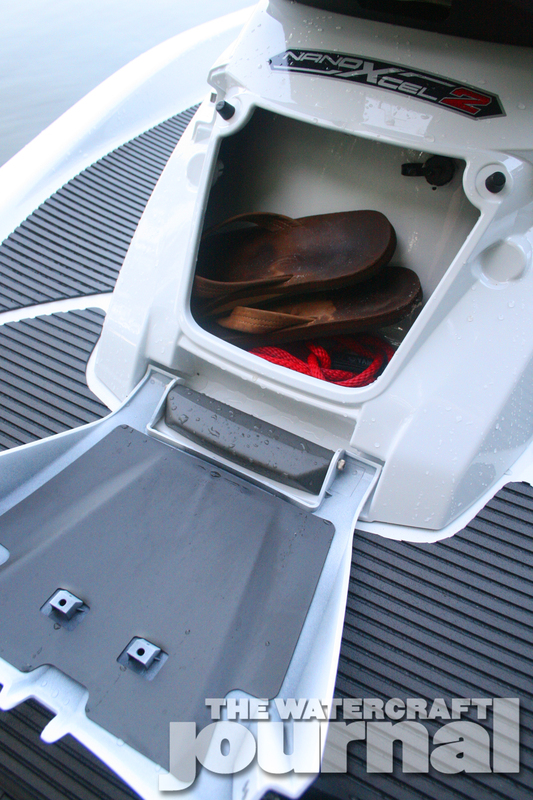 The folding swimstep has a unique rail that ensures a flush fitment when at rest and a flat surface to step on. Although the powertrain hasn’t changed, overall performance has increased nominally due to Yamaha’s all-new NanoXcel 2 hull and deck material. 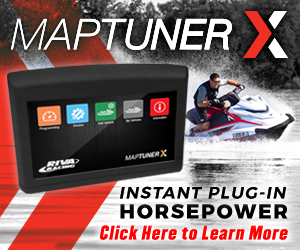 The new lightweight material shaves off nearly 50 pounds off of the FX platform, optimizing the runabout’s power-to-weight ratio for quicker acceleration and throttle response. The weight savings is noticeable too. When unleashed, the FX SVHO Cruiser erupts from a standstill like a cannonball, launching a single rider (with only a gallon or two of fuel in its 18.5 gallon tank) from 0-to-30 in 1.5 seconds, and to 60mph just a blink over a second past that. Of course, once properly broken in (a factory-suggested minimum 10 riding hours), the SVHO-powered FX has been said to creep past 70 miles per hour. 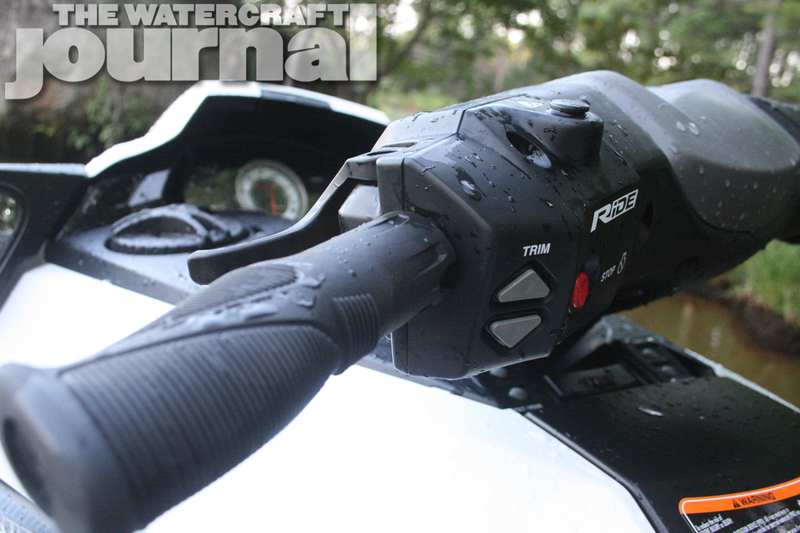 The big news for 2015 is Yamaha’s new RiDE dual-throttle reverse and braking system. The left lever engages immediate reward thrust, which when used gingerly, can be employed in cornering as well as close quarters maneuvering. Of course, the big news for 2015 is Yamaha’s all-new RiDE dual-throttle brake and reverse system. 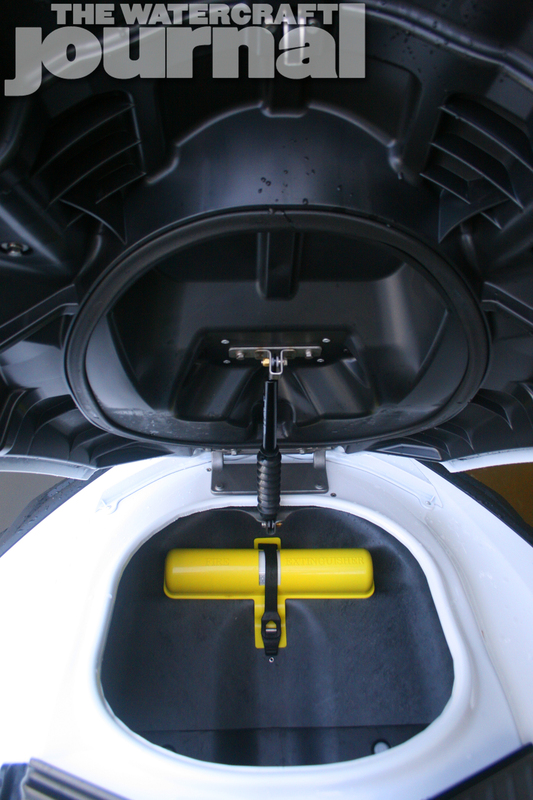 Rather than acting like a gear lever, left trigger immediately engages reverse thrust, dramatically improving docking, braking and loading/unloading from a trailer. 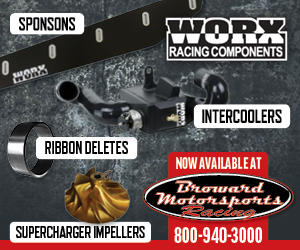 Calibrated for the FX’s 140.2-inch beam and stout 260 (unconfirmed) horsepower, the RiDE system progressively decelerates without pitching forward or lurching suddenly. When deployed at speed, the braking comes on as hard as you hit it. With some finesse, RiDE actually can be operated intuitively, providing precision braking through turns without overriding the forward throttle like Sea-Doo’s iBR. That being said, RiDE rewards those with a gentle touch, particularly in tight confines like a dock or rocky shore. 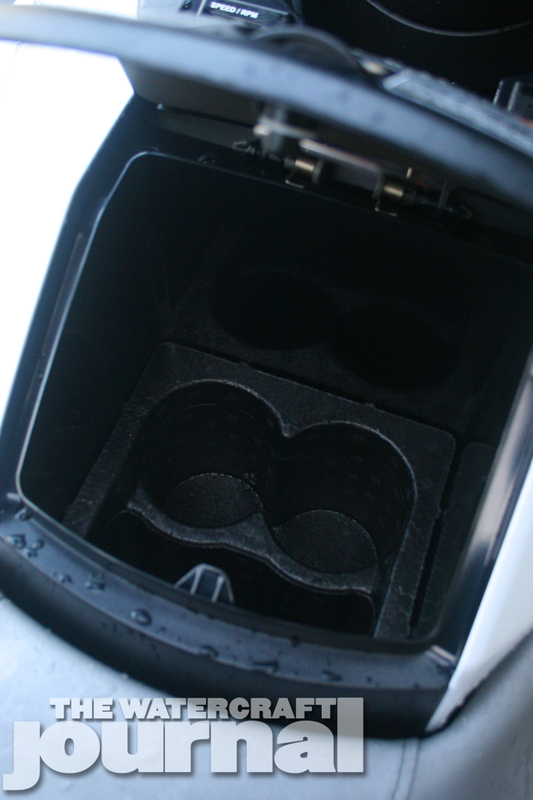 The dual-outlet reverse bucket directs thrust horizontally, aiding in performing tighter zero-point turns. Happy with either 87 or 91 octane, the SVHO is one of the few supercharged machines that still manages some pretty civilized fuel economy when the throttle isn’t pinned to its stop all day long (which is a lot harder than you might think it is). Directional “gears” (Forward, Neutral and Reverse) are displayed in a new LCD screen flanking the centered, white-faced analog gauge. With the new RiDE system also comes Yamaha’s first-ever electronic trim control, which is indicated in the opposite-side in-dash LCD screen. 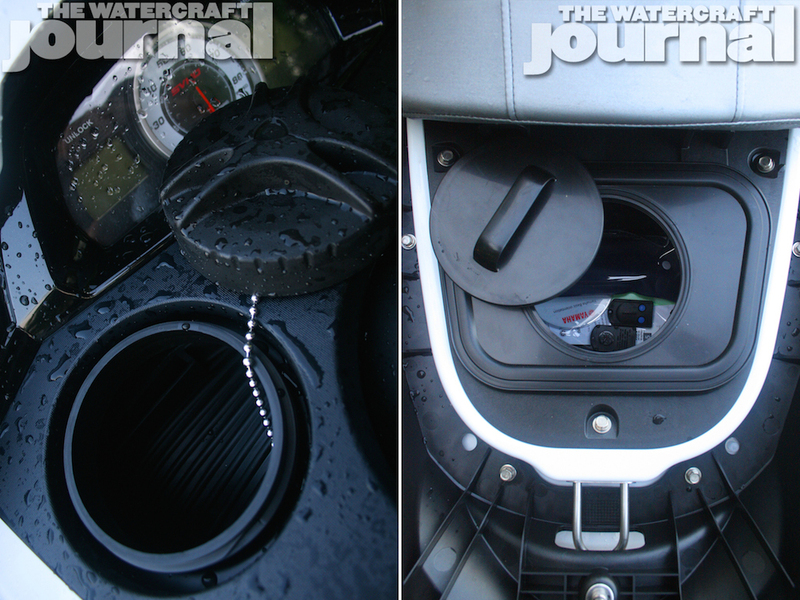 The FX SVHO Cruiser’s 33.2 gallons of storage is spread throughout the craft, from its large bow galley to twin strew-top watertight bins found in the dash and beneath the rear passenger seat. 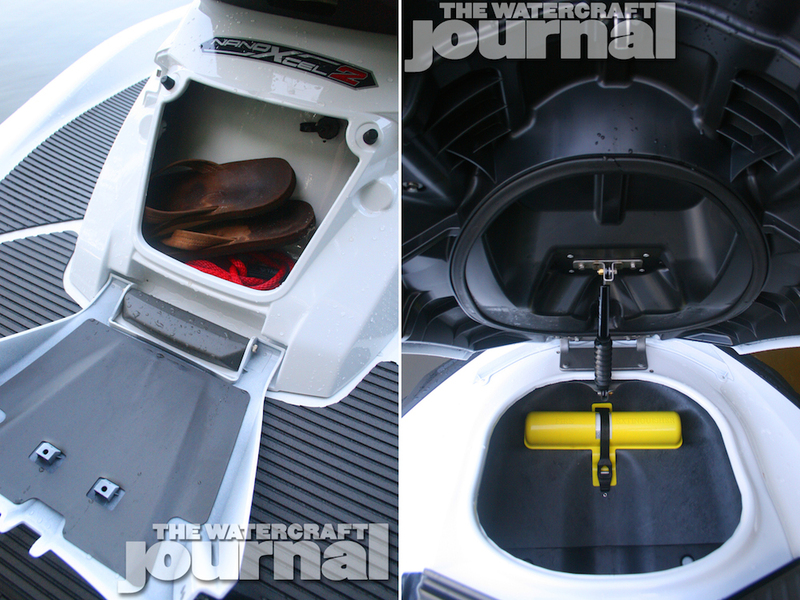 The “wet storage” is ideal for tow ropes, diving goggles or masks or just a pair of flip flops, which of course, opens up to the large swim platform and wide, folding boarding step. Supplemental storage is found in the rear of the runabout while the bow is still large enough for a pair of backpacks, some towels or other needful things. As we’ve come accustomed to, Yamaha’s Cruiser seat is amply cushioned and positions most average-height riders within comfortable distance from the five-way tilt handlebars. The RiDE system does require some added width to the bars (less than an inch total), but carries over its pistol-grip hand grips. Ergonomically, the cabin is thoughtfully designed, requiring very little contorting to reach any in-dash buttons or handlebar controls. As we hinted before, the RiDE can come on strong if you’re a little too ham-fisted like us. We also found the seat is a little too wide at the knees for our taste and the bolsters are a tad too forward for anyone 6’2″ and above. 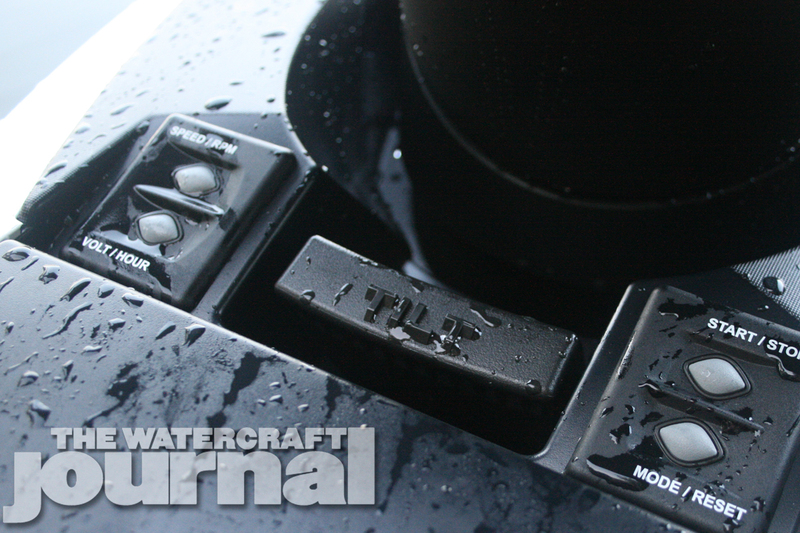 Additionally, we hoped for slightly more responsive toggle controls, as we found the Cruise, trim and No Wake a bit slow to inputs. But we need to emphasize that those were the only parts of the FX SVHO Cruiser that could ever be called slow. Possibly the best iteration of the FX platform that we’ve seen to date, the FX SVHO Cruiser pleases on almost every front. For those wanting a little more oomph out of your luxury machine, this is it. Throttle response is so quick, it’s precognitive. 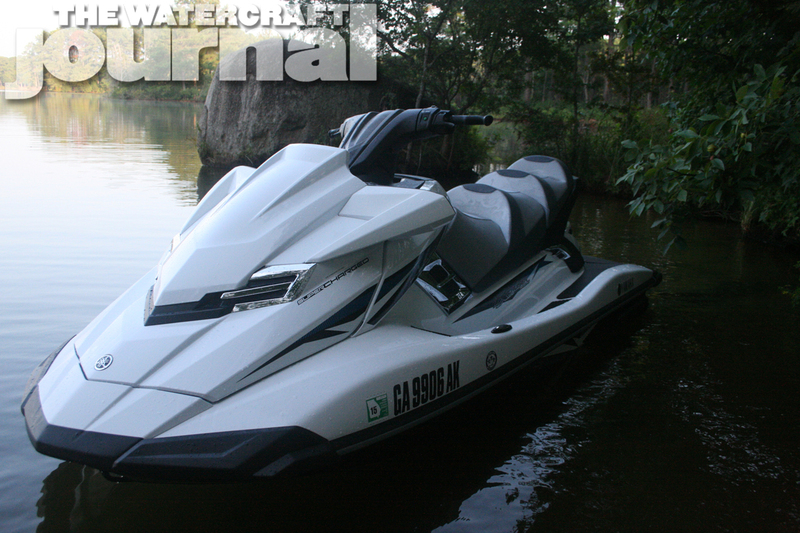 The FX SVHO Cruiser will pin you back into its scalloped seat with pleasure, and happily devours long, sweeping arcs across the water, hungrily accelerating out of the apex when prompted. 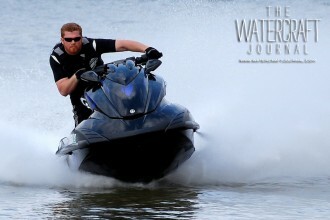 The FX hull has never been better than under the power of the brutish Super Vortex High Output 1,812cc four-cylinder. And whether sluicing through Pacific Coast chop or serene lakeside glass, the FX tracks smooth and masterfully. Also available in Torch Red Metallic (although we could never see anybody wanting anything but the Pure White, in our humble opinion), the FX SVHO Cruiser rings up the cash register at $15,799. 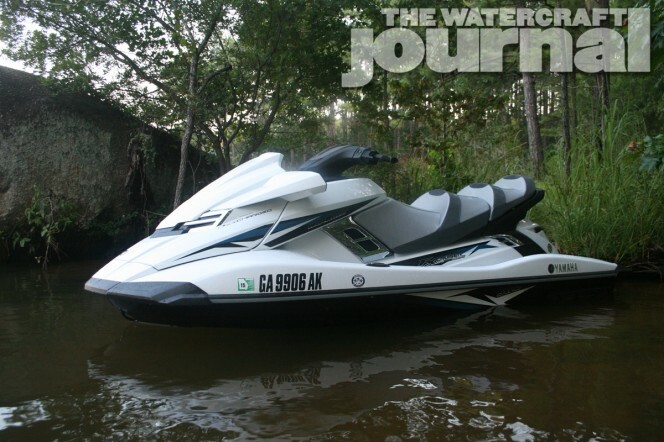 Again, it’s the very most that Yamaha WaveRunners brings to the table, so be very aware of everything that comes with it. 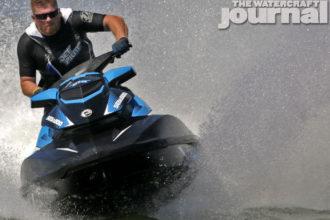 The top of Performance lineup, the FX SVHO Cruiser, with all of its accommodations and refinement, handily owns top billing for Yamaha’s Luxury lineup as well. It definitely takes a lot for us to want to ride something more than the SVHO-powered FZR, and the FX SVHO Cruiser kept having us come back over our two-days of testing.